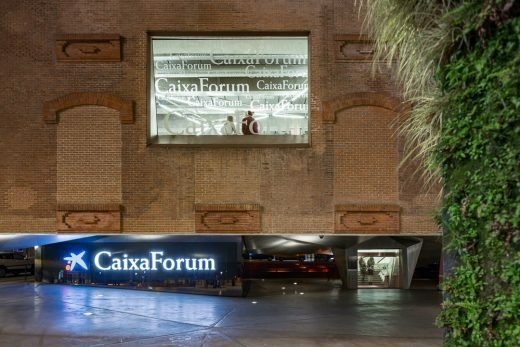 CaixaForum Madrid is a museum and cultural center in Paseo del Prado 36, Madrid. 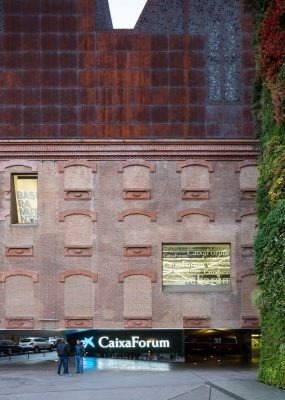 It is sponsored by La Caixa. 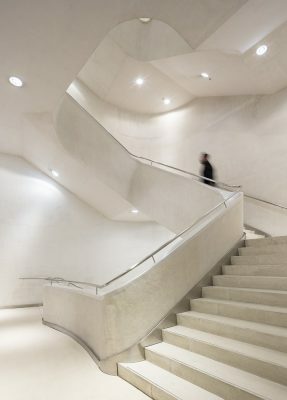 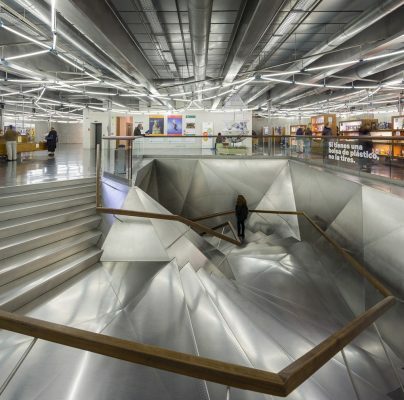 It was designed by the world-famous Swiss architects Herzog & de Meuron from 2001 to 2007. 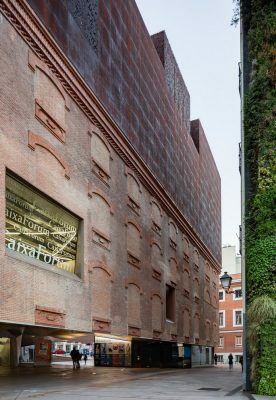 The building combined an old abandoned electrical station with new construction of floors which are encased with oxidized cast-iron, which was meant to be of a similar color and weight as the brick below. 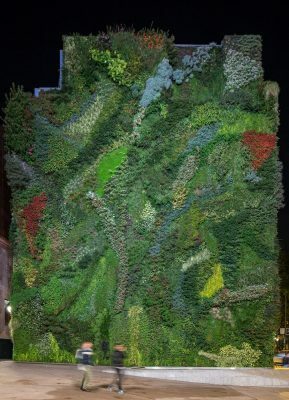 On the house next to it, there is a green wall designed by French botanist Patrick Blanc. 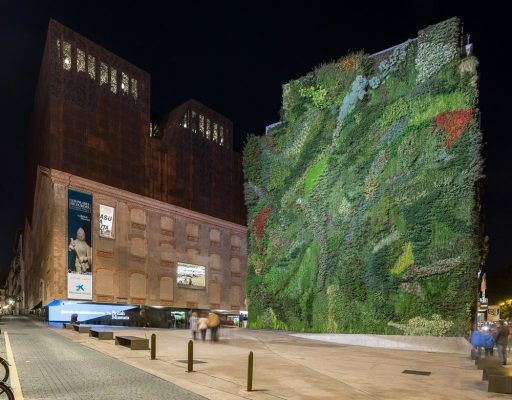 The red of the top floors contrasts with the plants on the wall, which match the character of the neighbouring Real Jardín Botánico. 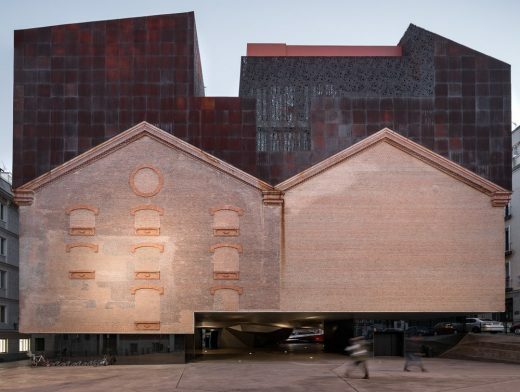 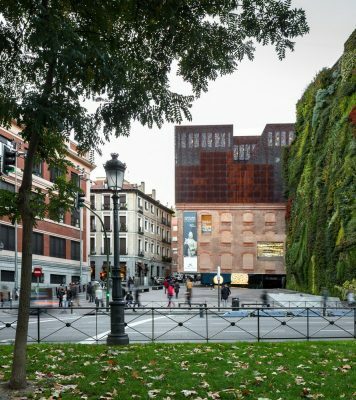 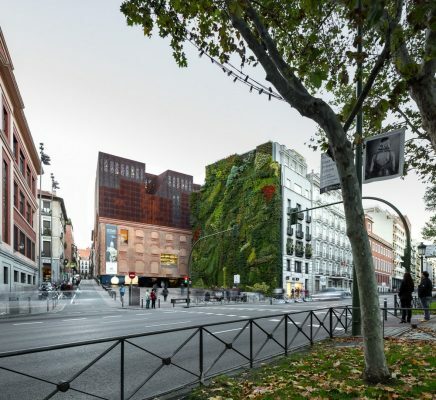 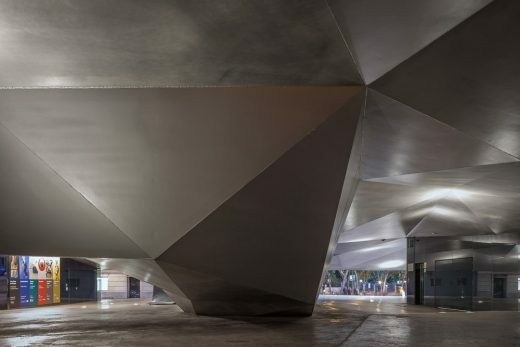 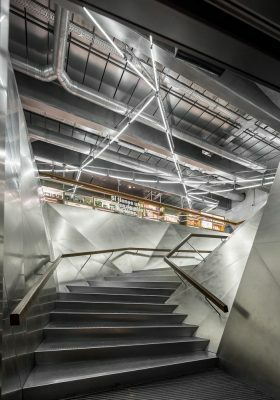 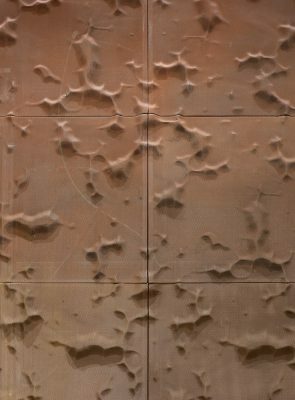 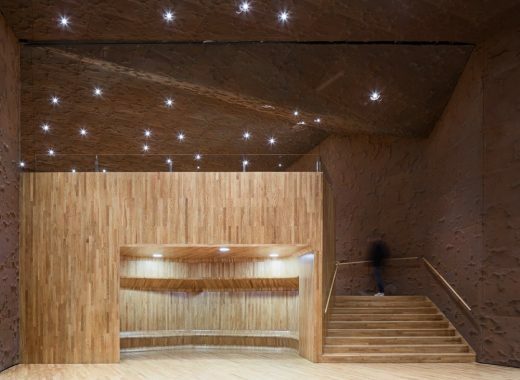 Although the CaixaForum Madrid is a contemporary building, it also exhibits retrospectives of artists from earlier time periods and has evolved into one of the most visited museums in this Spanish city.